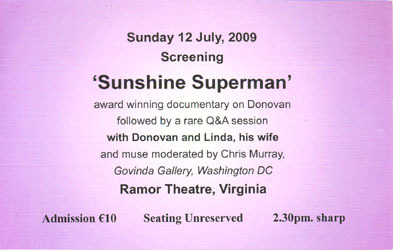 · Ticket for the screening of the Sunshine Superman DVD. · 12/07/2009, Ramor Theatre, Virginia, Co. Cavan, Ireland. · Event part of the Donovan Days.